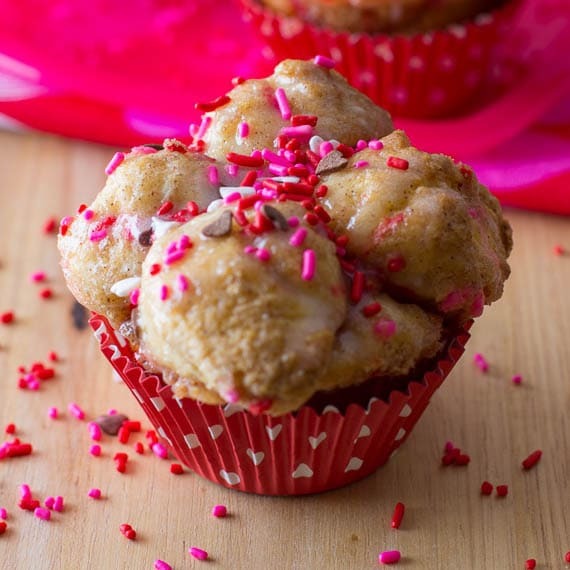 After that depressing news that winter will be around for awhile, I thought I would make some delicious sprinkle monkey bread muffins for breakfast. 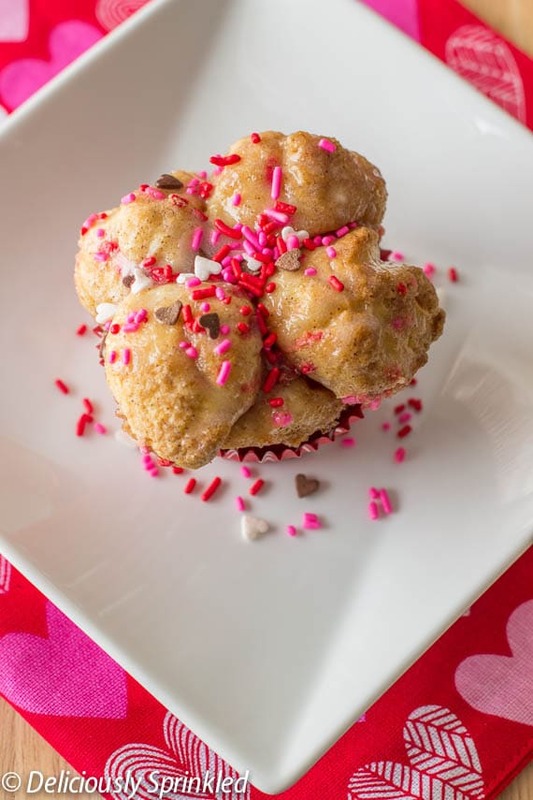 These Sprinkle Monkey Bread Muffins are super simple, all you need is one can of Pillsbury Homestyle Grands Biscuits, vanilla cake mix, melted butter, brown sugar, cinnamon sugar, and SPRINKLES. My favorite commercial was the one with the puppy and the horse such a sweet commercial!! These muffins are the perfect comfort food to stay warm. Shundara, I agree the puppy commercial was so sweet! I could totally use one or two of these right now!